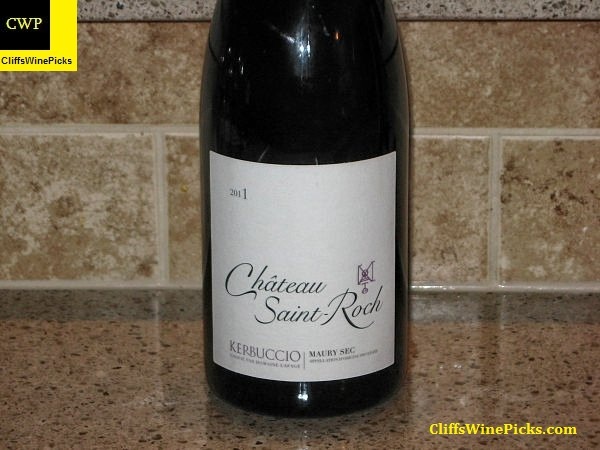 This wine includes 7% Grand Noir for color and to add spice. Half the grapes were fermented with indigenous yeast, the remainder was inoculated to increase complexity. The was aged for 16 months in French oak barrels, only 24% were new. The total production this vintage was 275 cases. Ruffino only produces this wine in outstanding vintages. When they make Riserva Ducale Oro, the grapes by hand harvested, mostly from their Gretole estate in the Chianti Classico appellation. The vineyard lots are vinified individually to preserve their specificity to the land. The wine is aged in oak, stainless steel and concrete vats for 36 months, twelve months longer than required by Italian law. The wine then spends additional months in bottle before release. This Sangiovese wine includes some Cabernet Sauvignon and Merlot. This is 65% Syrah and 35% Grenache. 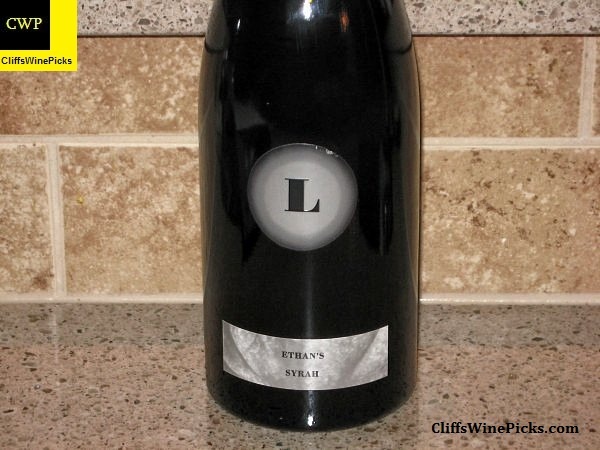 The winery intended to produce separate wines from the Larner Vineyard, one Syrah and one Grenache. 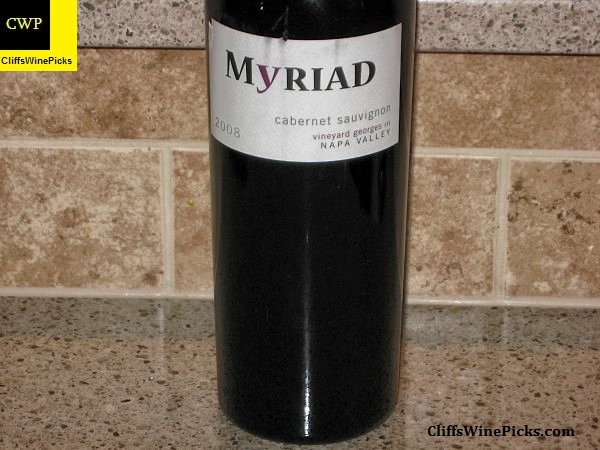 During experimentation, they decided the blend was too good to pass up so this was produced and the two straight varietal wines were not produced. The wine was aged in French oak, 80% new. A total of 234 cases were produced. I loved the Rosenblum wines crafted by Jeff Cohn and have never been disappointed by the ones he has produced under his own label. A few years ago, the winery dropped the “JC” initials and are labeled as Jeff Cohn Cellars. This post was contributed by site supporter, Jennifer Bowen. Jennifer used to work within the healthcare sector – working to help people with their diet, fitness and nutrition. After a short career break to become a mom she decided to turn to writing instead and now pens articles on the topics she knows most about. It’s good news for wine lovers; studies show that a glass of vino can increase your heart health by increasing levels of ‘good’ cholesterol to guard against thickening of the arteries, as well as improving your mental health. In moderation (as in all things), red wine can be good for you. This really complements the idea of the wine tour, and of drinking in the glorious sunshine, surrounded by rolling hills of vines. 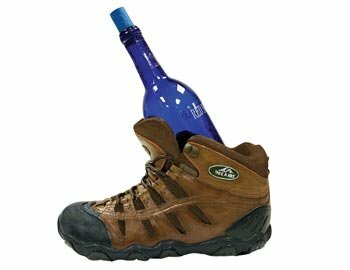 Wine, combined with outdoor exercise, is an ideal way of maintaining a healthy lifestyle. A vacation centered around wine tours can actually be the perfect way to enjoy the sights and culture of a country and often combines quality tasting with solid exercise amid the verdant landscape. As vines tend to be grown on high hillsides that offer the best drainage and sunshine, you will be walking a significant amount during your wine tour. Napa Valley is an impressive region of California’s wine country, with its tiered hills and striking seasonal colors. There is a plethora of wineries here to choose from and Calistoga is a particularly popular choice for visitors from around the world with its strong tradition of hospitality and superior wine tasting. There are many recreational activities for wine lovers here and throughout Napa Valley, from hiking to biking and kayaking as well as hot air balloon rides. Wine tasting and recreational activities combined create a vacation that is extremely healthy and in Napa Valley there are many towns and parks to visit to ensure you maintain that healthy workout. The writer Robert Louis Stevenson visited the region in the 1880s and announced ‘wine is bottled poetry’. Napa Valley is a highly respected area for wine making and this coupled with its breathtaking scenery has created a vision of wine tasting and walking in the foothills that is quite unrivalled. Charlottesville, Virginia is a significant wine trail destination, as well as offering cultural history. The Jefferson Vineyards is one of the wineries to discover, its land sold by Thomas Jefferson to an Italian viticulturist many years ago. There are many vineyards to stroll through in this picturesque setting, where visitors absorb the heritage of the region. The Monticello Artisan Trail connects many points of interest in the Nelson and Albemarle Counties, such as galleries, restaurants and farms against a backdrop of hazy mountains. Monticello, the home of Jefferson, is a UNESCO World Heritage site and is a major attraction within Charlottesville for those exploring the region. There are also hiking and horse riding opportunities, kayaking and rafting as well as high ropes adventures and skydiving. The Rivanna Trail and the Appalachian Trail are ideal hikes close to Shenandoah National Park. Hiking remains a popular outdoor activity, according to the paper Healthy Exercise for All Campaign – Physical Fitness Test for the Community. Hiking demands a level of cardiovascular fitness, as it is a moderate aerobic exercise, and participating in 30 minutes or so of this type of physical activity each day brings health benefits to the participant. Blood circulation is improved as well as cardiopulmonary function and heart disease, stroke, hypertension and certain cancers are reduced in risk. The National Institutes of Health (NIH) claims that bone health also benefits from exercise. Bone density and strength can be improved from exercise such as hiking, which is seen as one of the best bone building exercises as it is weight-bearing. Physical activity such as hiking offers a moderate level of exercise to help you maintain a healthy weight and to increase your breathing and heart rate and thus give you a cardiovascular workout, but at a gentle pace. Hiking can burn 185 calories in just half an hour and 370 calories in an hour. Walking is the most popular form of exercise, according to the Bureau of Labor Statistics, with 30% of people preferring this over running, cycling or using cardiovascular equipment. Whether you opt for sunny California, cultural Virginia, mystical Oregon or perhaps further afield to Tuscany in Italy, wine country is an ideal setting for a hiking vacation. Because the terrain among vineyards is naturally hilly, you will find yourself burning an ample amount of calories as you walk. The wine tour experience is one to be savored and it can be a heady one too; remember to drink responsibly as you traverse through the vineyards. You may burn off the calories you absorb, but wine should always be treated with respect and tasted rather than gulped down. It should complement your inner strength and help you maintain that healthy lifestyle, and this is only achieved if wine is drunk in moderation, according to government advice. The beauty of hiking while you enjoy these wine tours is that you will be exercising for recreation, rather than focusing on your workout. Wine and outdoor exercise complements each other significantly and ensures that you maintain an appropriate level of physical activity during your tour through wine country. This has 15.5% alcohol and the bottle is sealed with a natural cork. I’ve been on the Myriad mailing list since the beginning. This will be my first bottle of one of their pricier wines, but I know I’ll love it since even their lower end wines have all been outstanding. I’m going to be changing the blog a bit over the next couple of weeks. 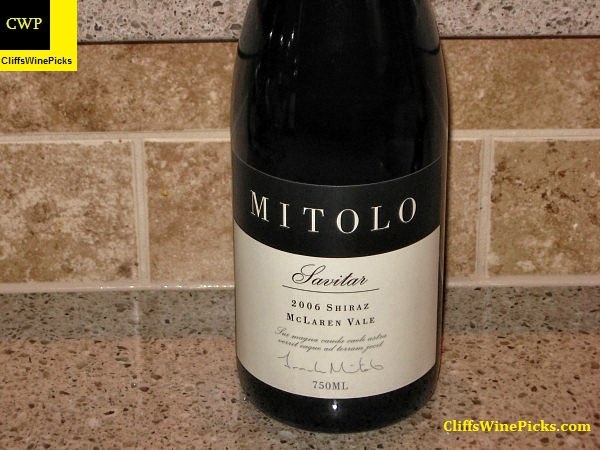 Instead of twice a week updates, I’ll be posting one blog covering all the wines for the week, except for one wine. 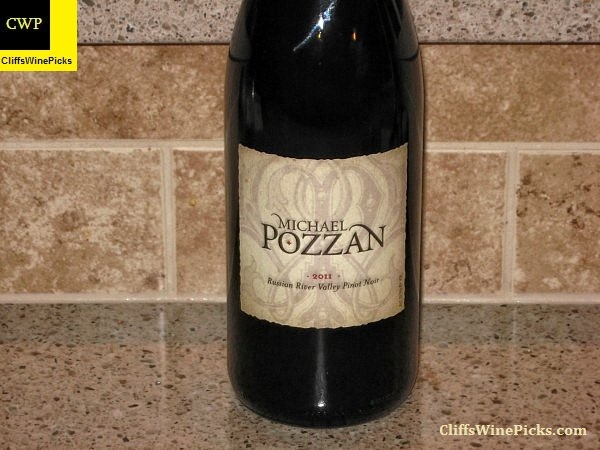 I will post one blog a week highlighting my “Wine of the Week”. Since it seems like no one really follows links to sites I suggest or comments on winery/wine information, I will eliminate the information from the normal blog. 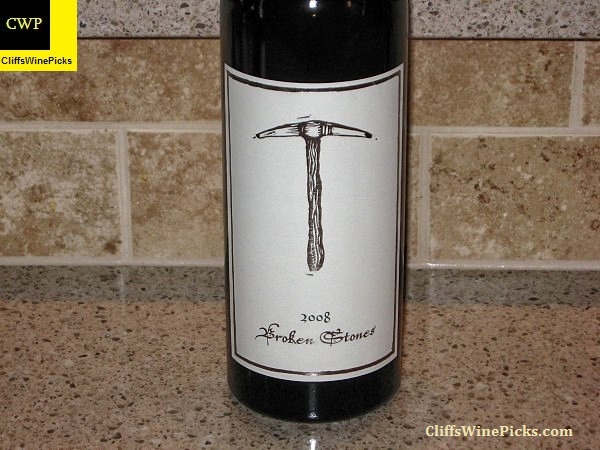 I will add extra “color” and links to my wine of the week post. I will still be posting separate blogs for events and samples provided to me, these should not change too much. Big Basin has been a personal favorite for several years. 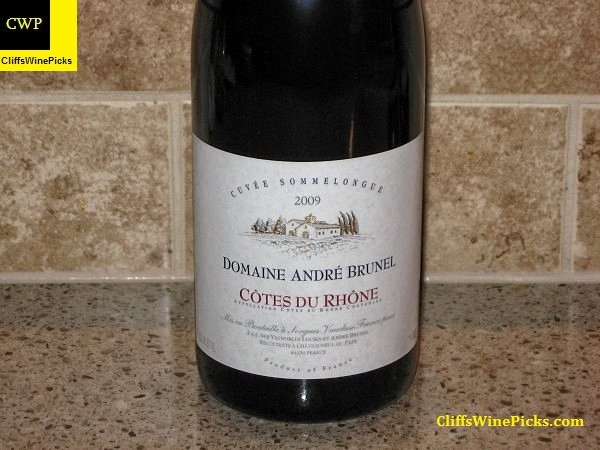 I was on their “Rhone Lover’s” mailing list for a few years. The winery also produces Pinot Noir based wines but I’ve not had the opportunity to try those yet. 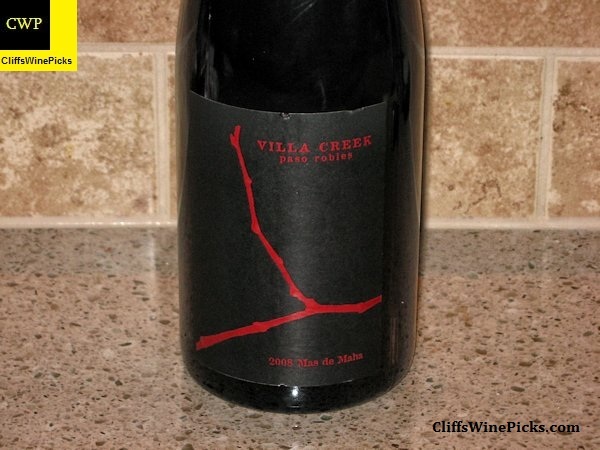 This wine is a blend of 62% Grenache and 38% Syrah from California’s Santa Cruz Mountains. There were less than 2 barrels produced of this wine. 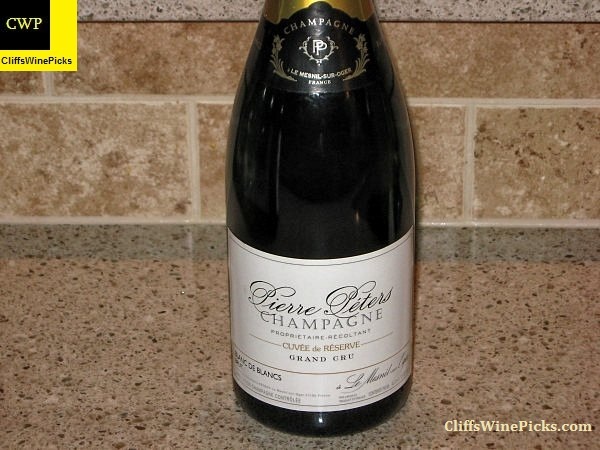 This has 15.8% alcohol by volume and the bottle is sealed with a natural cork. It was an extremely cold day up here, with the high struggling to get above 0. 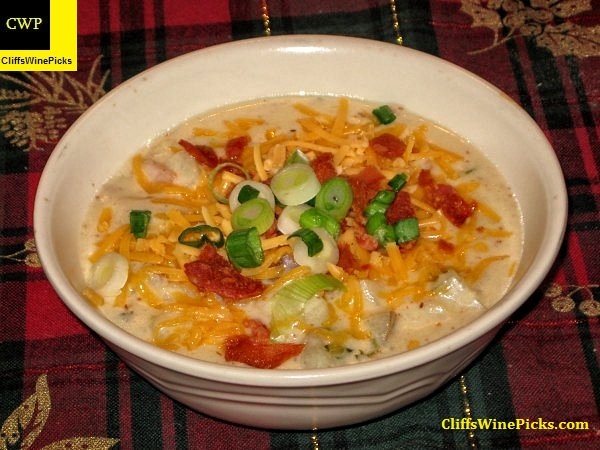 This was perfect weather for one of our favorite cold weather meals, Baked Potato Soup. The soup is thick and creamy and delicious. 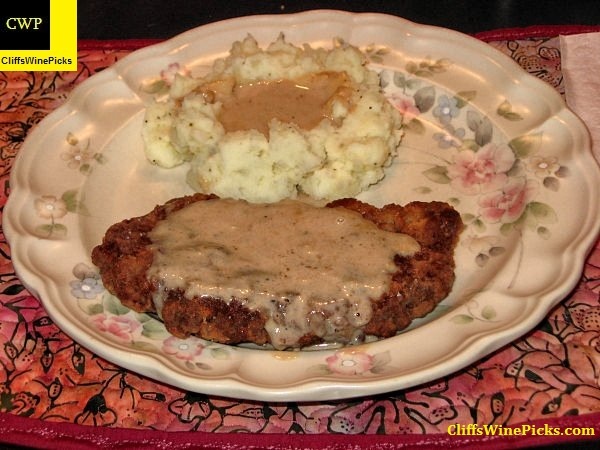 We use the recipe from The Machine Shed. This has quickly become our “house” Champagne. For several years we weren’t really big sparkling wine consumers, but this one has opened our minds to venture out and start experimenting and drinking them more often. This had 12.0% alcohol and had a disgorged date of April 2012. 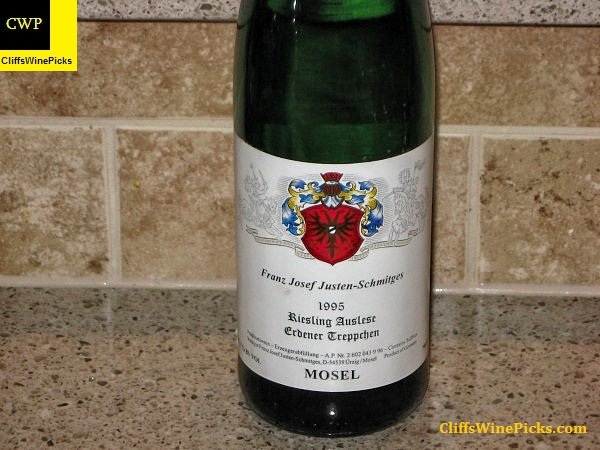 Far and away, our favorite white wine is a German Riesling with some age on it, in this case a 19 year old Auslese. 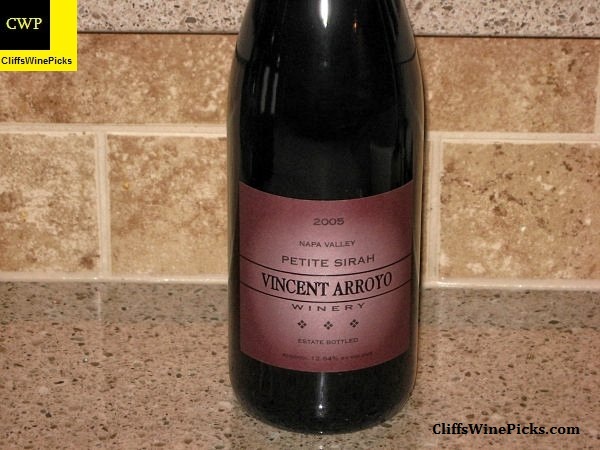 These wines are delicious when young but turn magical with a decade or two in your wine cellar. 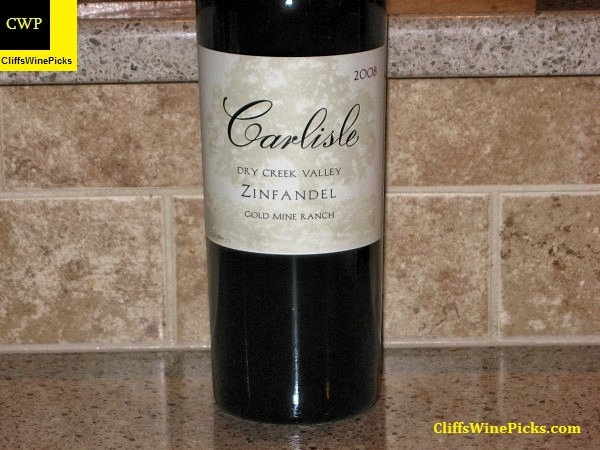 One of the best sources for reasonably priced, winery cellared, aged German wines is Garagiste Wine out of Washington. I highly recommend checking out and joining their e-mail list. 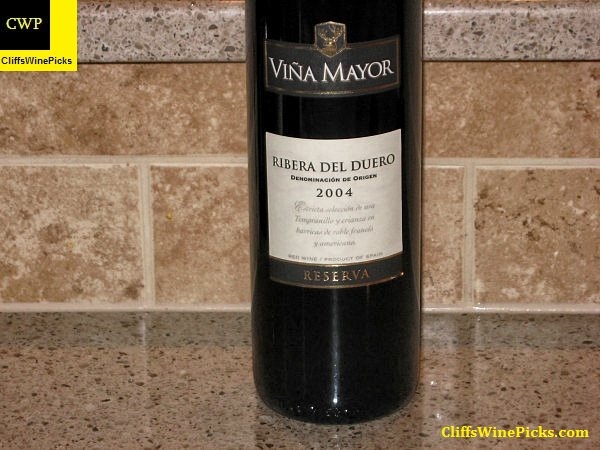 This wine has 7.0% alcohol by volume and the bottle is sealed with a natural cork. 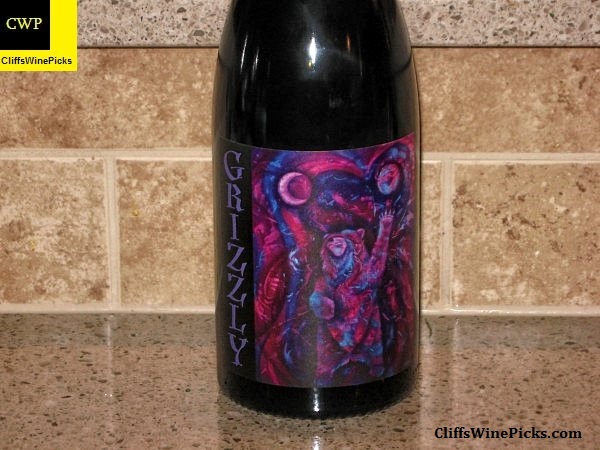 I had the good fortune to split a case of this wine with a friend who was on the winery’s mailing list. Even though I’m a big fan of the ripe and rich style of Pinot Noir being made in California, I also very much enjoy Oregon Pinot Noir. This wine has 13.8% alcohol and the bottle is sealed with a natural cork. It’s been a few years since I tried this wine. A nice price, a very good vintage and a WS Top 100 selection lead me to grab a couple bottles. Time to see if I agree with the WS 93 point score or the WA 85+ score. This has 13.5% alcohol and the bottle is sealed with a natural cork. 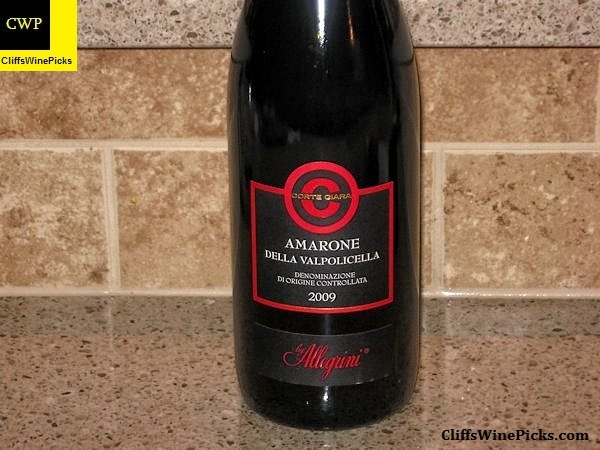 We’re pretty big fan of Italian Amarone wines. Unfortunately, they aren’t a low priced wine. When the local store brought these in and put them on the shelf for about half price, I had to grab a few bottles. 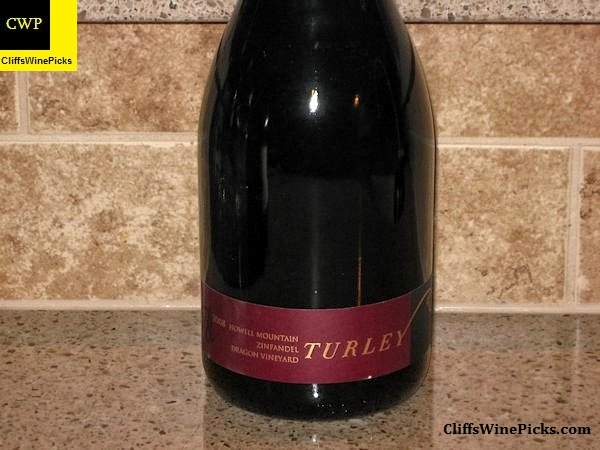 For whatever reason, this wasn’t a wine I bought regularly from the Turley mailing list. I don’t know the exact reason but I only grabbed a bottle every couple of years. 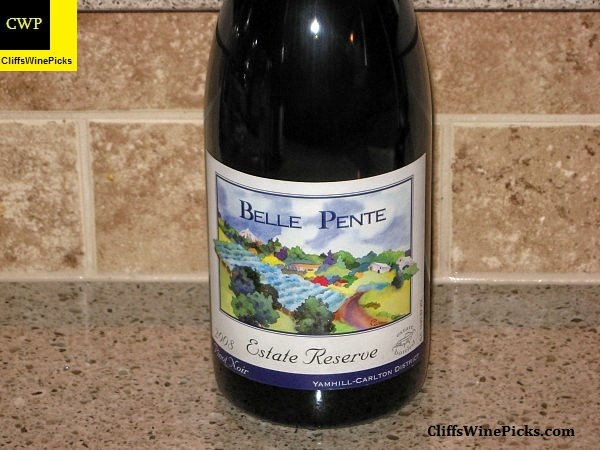 I like this wine when I open a bottle, but with the low volume of purchases, one isn’t opened very often. 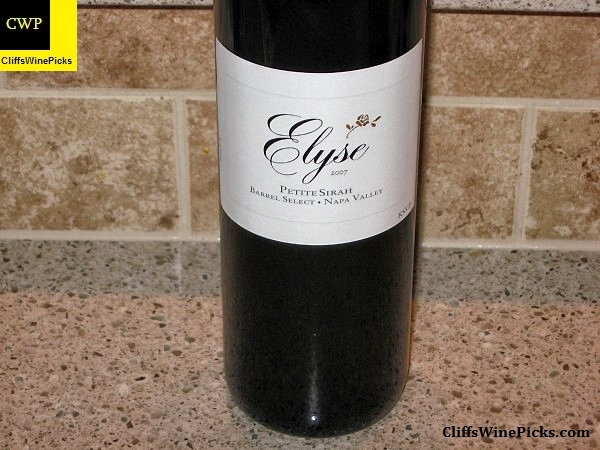 This wine has 16.0% alcohol by volume and the bottle is sealed with a natural cork. 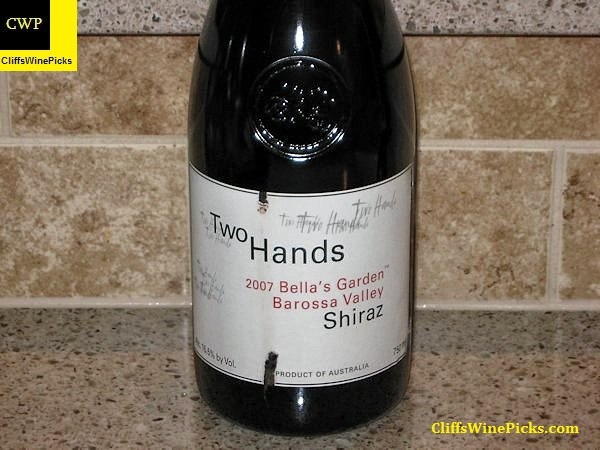 Two Hands is a perennial favorite in the house. Just about every wine they’ve made has been a welcome addition to my wine cellar. Unfortunately, their “Garden” series wines have become so popular around the globe, it’s become hard to find them at a decent price. 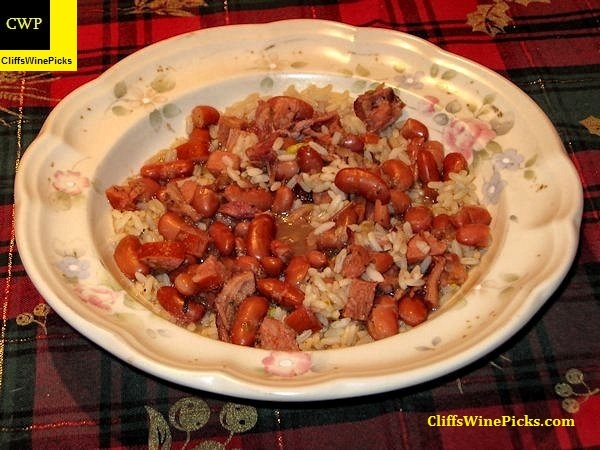 For us, the best part of having a bone-in half ham over the holiday season is making a batch of Red Beans and Rice with the bone and scraps of ham and andouille sausage. Thankfully, today was Red Beans and Rice day.